sherri (Homepage) wrote: So very pretty. Your title triggered memories for me. I recall learning the word undertow as a child because of a sign posted on a beach. Arjan - PlasticDaisy (Homepage) wrote: Another beauty! The sky and water blend perfectly in tone and color! Arnd (Homepage) wrote: Great motion blur and use of color and light. Very creative! Andrés (Homepage) wrote: Very beautiful scenery and the soft texture is splendid. Laurie (Homepage) wrote: Gorgeous. The pastels are just wonderful. Pavan Kaul (Homepage) wrote: Absolutely fabulous...like a lovely painting...certainly very artistic and creative...the colors and motion in the water are fantastic! Great work! Jolieke (Homepage) wrote: Nice sky and colors! Alex (Homepage) wrote: El efecto seda, tanto del agua como del cielo es impresionante... parece de otro planeta. Saludos. Francesco (Homepage) wrote: Ciao Paolo, commento su questa perché al momento è l'ultima foto. Ho visto spesso i tuoi commenti sui fotoblog di comuni amici e solo ora mi sono deciso di passare qui... beh, ho fatto male! Malissimo! Mi sono perso una serie di foto davvero belle, ben fatte sia sul piano tecnico che emozionale. Complimenti davvero, hai un archivio fotografico davvero invidiabile. Ovviamente sei nei miei feed! Luz (Homepage) wrote: Qué sauvidad en el agua, combinada con esa maravilla de cielo. Unos colores fantásticos!! Andy (Homepage) wrote: great pink light! Love the misty feel. 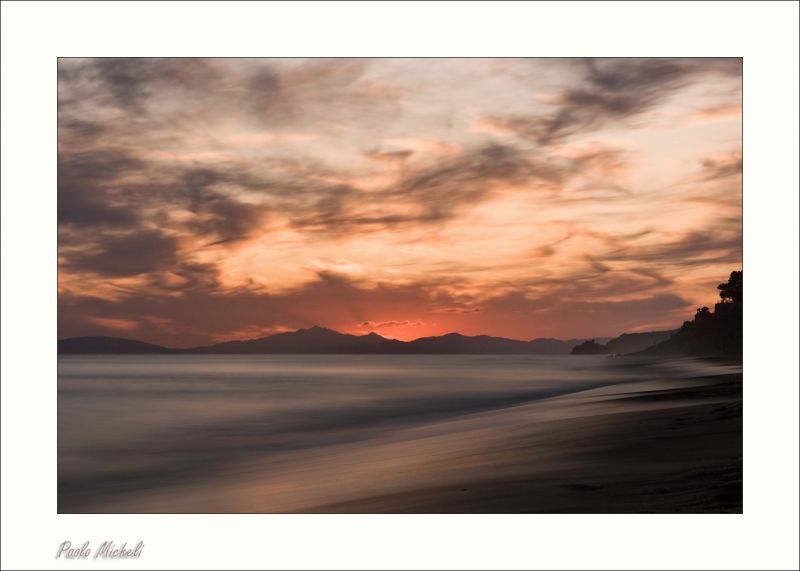 John Maslowski (Homepage) wrote: Impressive composition, love how the sand blends with the ocean. The tones here are superb, a beautiful surreal image. Framed and Shot (Homepage) wrote: Soft and tender, Tranquil and peaceful, warm and caring - just a very lovely image! Frida (Homepage) wrote: Magical is the word that comes to mind :-) Truly beautiful. Elaine- (Homepage) wrote: wow is that water?? it looks other worldly!!! what an amazing shot!! !